Acoustic guitar can be a challenging instrument to record well. It is, however, pretty easy to record passably. If you take pretty much any microphone you own, put it a few inches away from the guitar and point it at about the 14th fret, it will turn out okay. 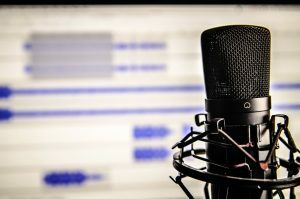 Sometimes okay is just fine, but for those other occasions, where getting a great recording is the goal, there is quite a bit more to say about the topic. 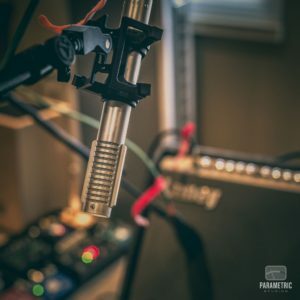 We’ll start with a quick rundown of the microphones you’re likely to use to record an acoustic guitar, and then talk about some placement ideas with one or two microphones. It’s hard to say what the best mic for recording acoustic guitar is, but we can at least steer you in a good direction. Dynamic microphones, like the venerable SM57, don’t get used too often recording acoustic guitar. They tend to lack the top-end sparkle that most people like, and don’t usually sound as exciting or life-like. However, a dynamic mic placed close to the instrument can yield a gritty woodiness that is sometimes exactly what you need. Of course, if all you have is an SM57, you can still record your acoustic. You may need to do a little more work with an EQ to get it just right. Condenser microphones are easily the most popular microphones for recording acoustic guitar. Opinions are split on whether a large diaphragm condenser or a small diaphragm condenser is the best mic for recording acoustic guitar. 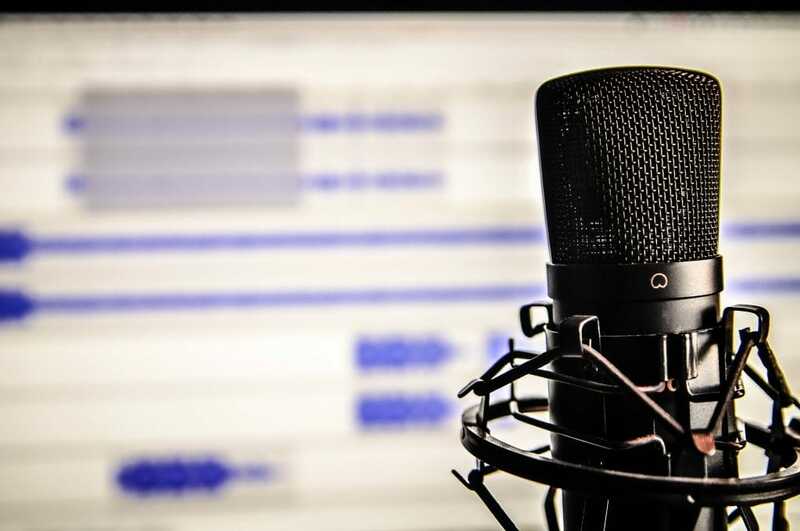 In truth, it will depend on what you want to accomplish in terms of sound and what kinds of recording limitations you have to deal with that will color you choice. Broadly speaking, large diaphragm condensers tend to be less precise in their directionality and experience and greater proximity effect, but make up for this by having a lot of pleasing character. Small diaphragm condensers tend to be more precise, often pick up transients a little better, and are generally better about rejecting off-axis noise when using cardioid capsules. Despite their prized place in many mic lockers, ribbon microphones are not often used while recording acoustic guitar. The smooth, slightly rolled-off top end that make them great for drum overheads and electric guitars tends to make acoustic guitars sound a little dark and sometimes dull. This can be an advantage if the guitar is excessively bright, but for most applications it probably won’t be quite the right sound. 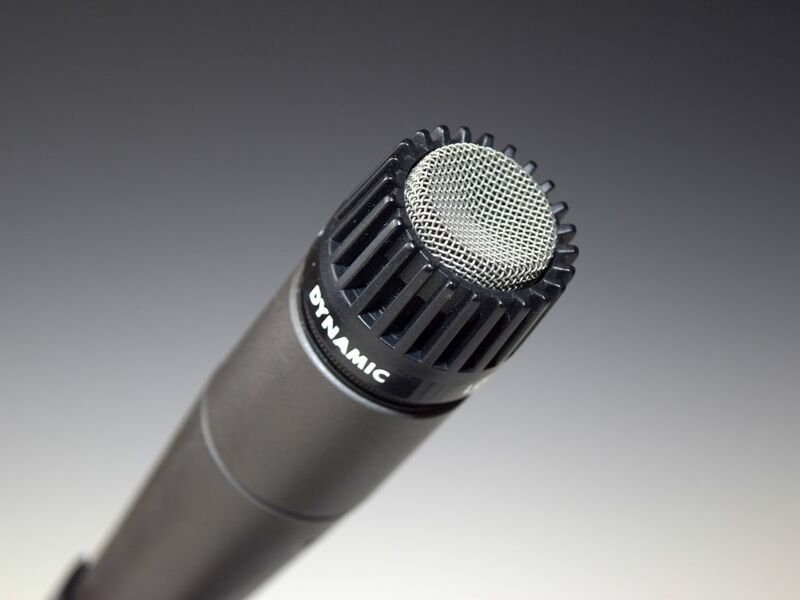 A good, reliable mic position is a cardioid mic pointing at the 14th fret, about where the neck meets the body. Keep the microphone somewhere between 4 and 12 inches away. You can adjust the sound by rotating the microphone to point at the 14th fret at an angle. The more the microphone is pointed towards the body of the guitar, the more low-end there will be. This is one of the most popular ways of recording acoustic guitar. 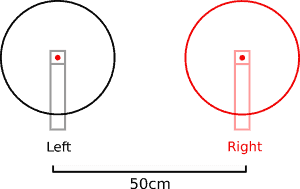 Place a microphone, usually cardioid, a few feet straight out from the soundhole. Raise the microphone a little above the “beam” of the soundhole to reduce the amount of bass, or place the microphone deeper into the “beam” to increase the bass. This position can sound more natural, but the farther away you put your microphone, the thinner the sound is and the more the room influences it. If you have a good-sounding room, you’re in luck. If you don’t, you might want to stick to closer microphone techniques. To try to duplicate what you hear when you play the guitar, try placing a microphone, usually a large diaphragm condenser, over your shoulder pointing down at the guitar. Experiment with different polar patterns to hear more or less of the room you’re recording in. Take two matched microphones of any polar pattern and space them apart. They should both point at the guitar and, to avoid issues with phase or filtering, they should be about three times as far apart from each other as they around from the guitar. Typically, that means pointing one at the 14th fret and the other at the bridge and keeping the microphones about 4 inches away from the guitar. The two microphones will pick up fairly different sounds and give your guitar a lot of depth. Alternatively, you can try spacing the microphones vertically, with one above and one below the sound hole. 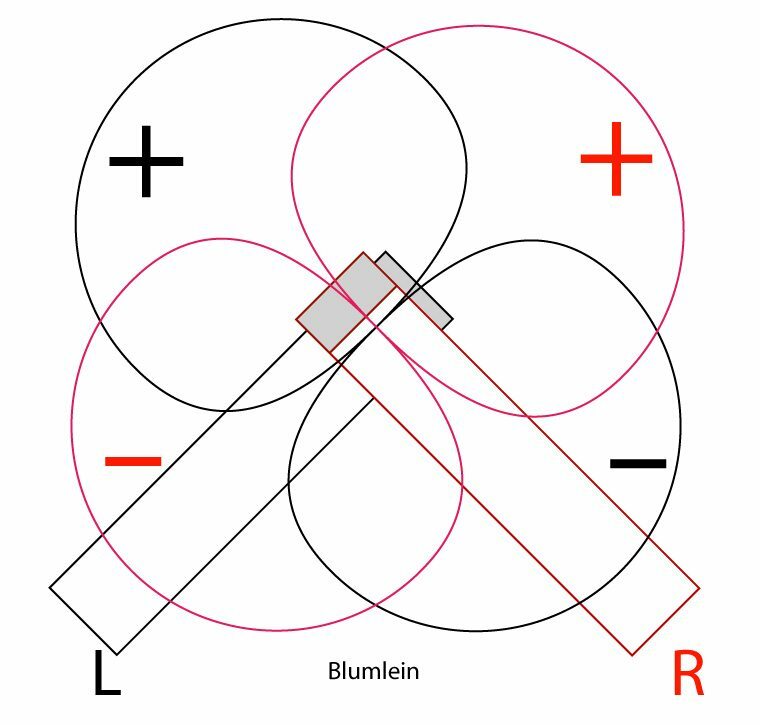 If you have a pair of cardioids small-diaphram condensers, you can cross them so that the capsules are directly above each other and pointing at right angles to each other. This will give you a V shape with the capsules at the point of the V.
Aiming the point of the V at about the 14th fret gives you a nicely balanced stereo sound, and because the capsules are right on top of each other, you shouldn’t have to worry about phasing issues. Don’t be afraid to experiment; any single mic placement can be replaced by an X/Y pair for a more spacious sound. This is a popular Nashville way of recording acoustic guitar. 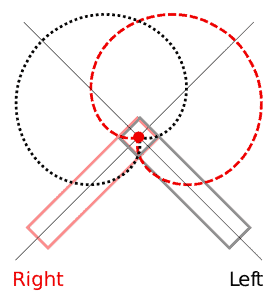 Named after an early pioneer in audio recording, this technique superficially resembles X/Y placement. Instead of small diaphragm direction microphones, however, we’re going to use a pair of large diaphragm mics using a figure-8 polar pattern. 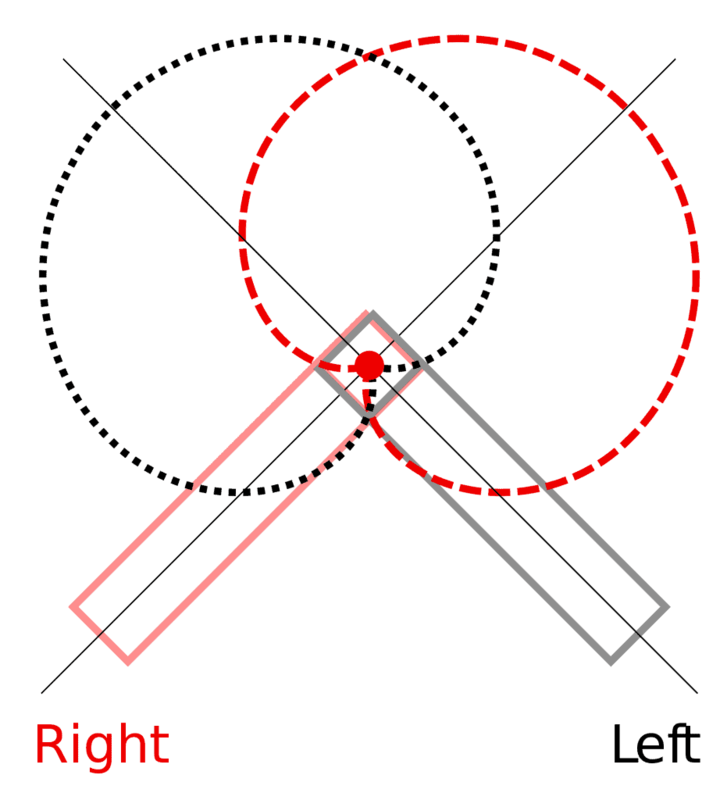 If your microphones won’t do figure-8, an omni pattern will work almost as well. 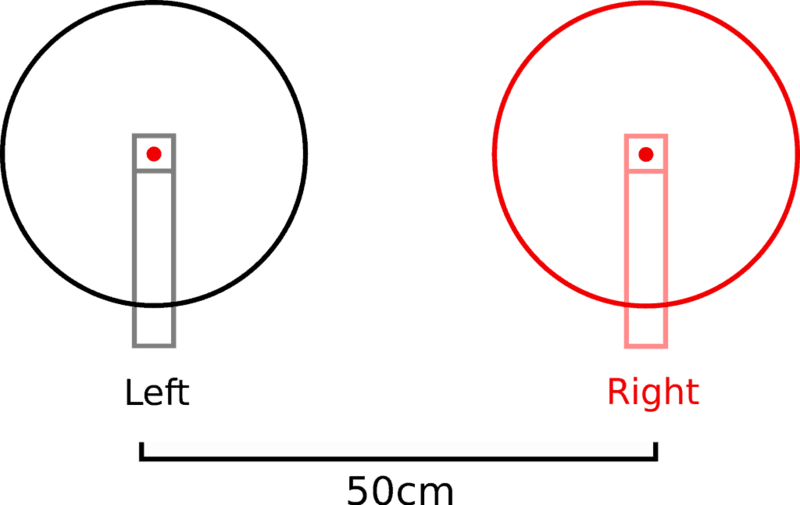 Position the microphones at right angles to each other, just like in X/Y placement. This technique gives you more space and room ambiance, and it is suitable to both close and far positions. For many people, this is the best way of recording acoustic guitar, as long as you’re working in a good room. 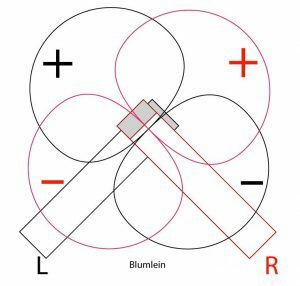 Don’t forget to try combinations of these placements, as well as blending in a direct signal if you have a guitar with a pickup in it. The most important rule to remember in recording is that your ears are king. If it sounds good, it is good. What Are The Best Acoustic Guitar Strings For You?